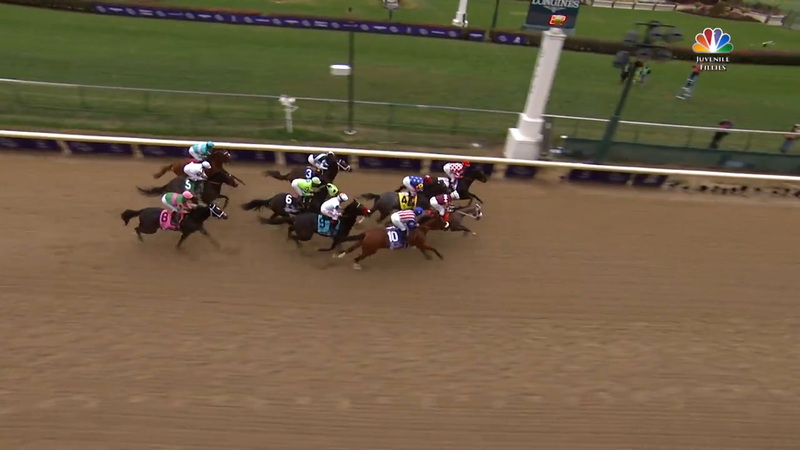 Jaywalk made a victory in Tito's Handmade Vodka Breeders' Cup Juvenile Fillies look like child's play, as she took the lead early and was never threatened in the 1 1/16-mile, $2 million event at Churchill Downs. The score handed trainer John Servis his first Breeders' Cup victory in just his second start. The cleverly-named daughter of Cross Traffic remained relaxed under Joel Rosario the entire trip, and put the petal to the metal in the stretch to draw off to an impressive five and one half-length victory in 1:43.62. "She got out of there and she just wanted to go," Rosario said. 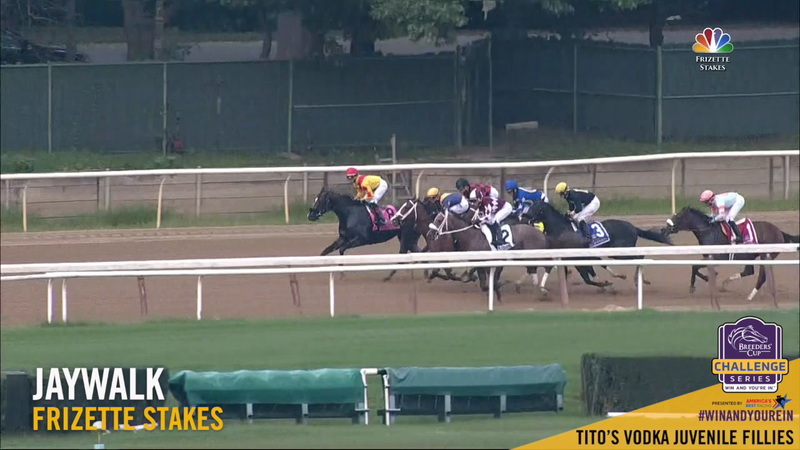 "She just broke out of the gate and she didn't wait for anybody. I was just sitting very easy with her and let her do her job. She did it so easy. I just let her be there, and she feels like she could go for another run again." The roan filly was second in her first start at Monmouth, and has since reeled off four straight. In addition to the Juvenile Fillies, she captured the Frizette at Belmont. "Her cruising speed is wicked, and she just runs them off their feet," said Servis. "When she got to the lead going into the first turn, I saw her ears go up and saw she was relaxed. I thought we'd be pretty tough." Servis, who races in the Mid-Atlantic area, holds the unique distinction of have won both the Kentucky Derby and Kentucky Oaks with his first and only starter in those storied stakes. He saddled Smarty Jones to win the Derby in 2004, and took the Oaks in 2016 with Cathryn Sophia. Jaywalk was purchased for $190,000 as a yearling by Servis for owners DJ Stables and Cash is King LLC. Her Breeders' Cup victory pushed her earnings to just under $1.4 million. She's the leading earner for her sire Cross Traffic, and her exploits have landed Cross Traffic at the top of the first crop sire list. Jaywalk was voted Eclipse Award Champion 2-Year-Old Filly of 2018.